ASPHostPortal.com is Microsoft No #1 Recommended Windows and ASP.NET Spotlight Hosting Partner in United States. Microsoft presents this award to ASPHostPortal.com for ability to support the latest Microsoft and ASP.NET technology, such as: WebMatrix, WebDeploy, Visual Studio 2012, .NET 4.5.1/ASP.NET 4.5, ASP.NET MVC 5.0/4.0, Silverlight 5 and Visual Studio Lightswitch. ASPHostPortal.Com proudly announces the best SiteLock Malware Detector Hosting service with a combination of affordable price, high customer satisfaction rate and commendable quality. SiteLock helps protect more than just your website; it can protect your business. There have never been more threats to your website business than now. Hackers use malware, SQL injection, cross-site scripting and more sophisticated techniques to steal your customer data redirect your traffic, ruining your site’s reputation. SiteLock monitors your websites daily for malicious activity and then alerts you to any potential threats. SiteLock’s 360-degree scanning uses lightweight technology to search for vulnerabilities in your code, as well as any outdated applications, without slowing down your site’s performance. These scans include searching for defacement, database vulnerabilities, application vulnerabilities, and drive-by downloads. “SiteLock Domain Security will make sure that your website is virus free by scanning is periodically for malware, as well as keeping you off spam lists. You also get the neat little SiteLock badge that you can put on your site to help you develop visitor trust,” said Dean Thomas, Manager at ASPHostPortal.com. ASPHostPortal.com is a popular SiteLock Malware Detector Hosting service provider with all of its hosting plans to help users to automate and simplify website and server administration tasks such as security and protection. For more information about this topics or have any enquiries related to SiteLock Malware Detector Hosting. 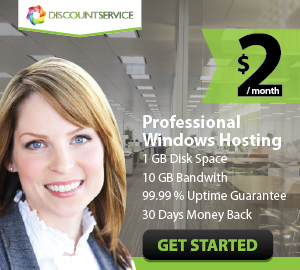 ASPHostPortal.com is a hosting company that specializes in Windows and ASP.NET-based hosting. They offer a wide range of services, from shared hosting, reseller hosting, Enterprise Email, Cloud Hosting to the most sophisticated SharePoint hosting. As a leading small to mid-sized business web hosting provider, ASPHostPortal strives to offer the most technologically advanced hosting solutions available to all customers across the world. Security, reliability, and performance are at the core of hosting operations to ensure each site and/or application hosted is highly secured and performs at the optimum level.